It's Friday! 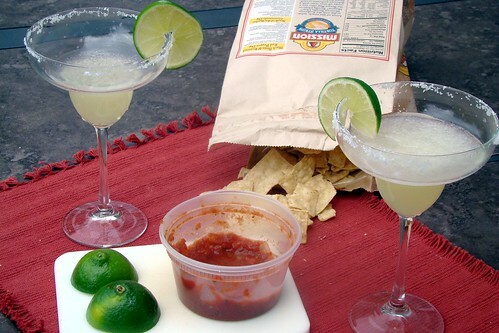 And you know what this calls for... Margaritas! 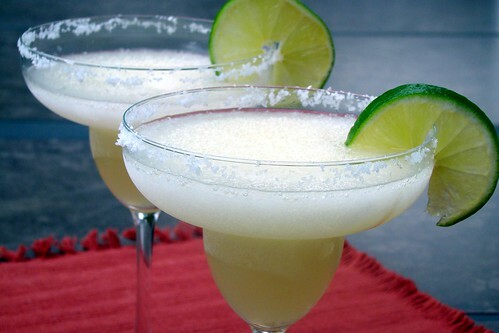 These margaritas are absolutely delicious and you best believe me because I do not lie about margaritas. These are very quick and easy to make, going from blender to mouth in less than five minutes. Best served with chips and salsa, summer fruits, and more margaritas. So give a toast to the end the week! 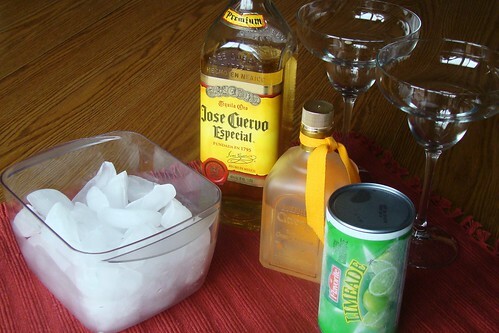 To the summer heat, good health, and, most importantly, tequila! 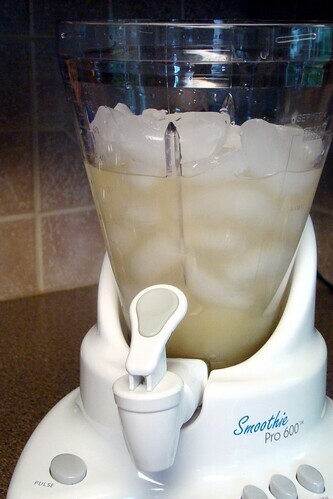 Put frozen limeade concentrate, tequila, triple sec, and the juice of one lemon into a blender. 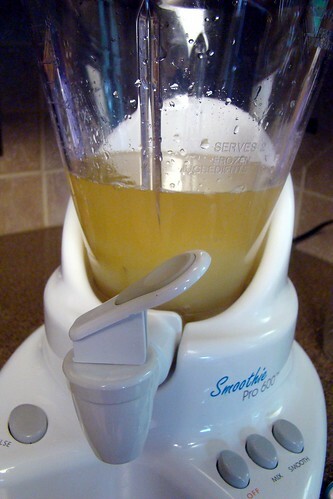 Fill the blender with crushed ice. Blend until smooth. 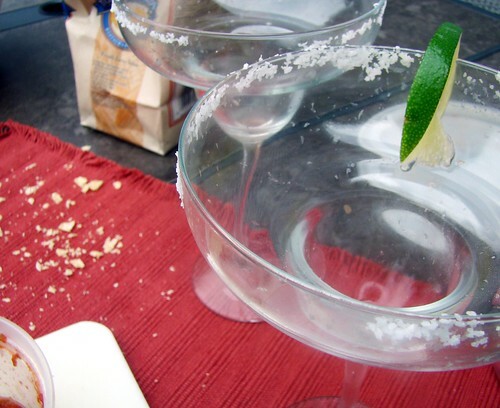 Pour into margarita glasses, top off with a slice of lime, and enjoy!